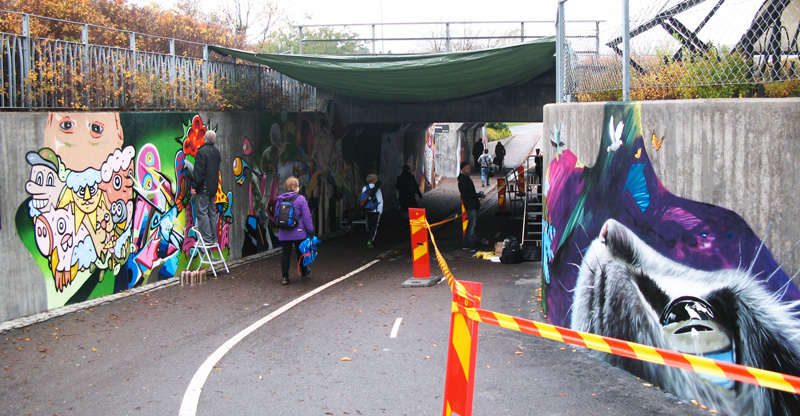 The small town of Kallered in Sweden near Gothenburg will soon have its first mural, completed by various artists from Europe (including Ruskig, Tasso, Kaos, Clean, Unir1…). 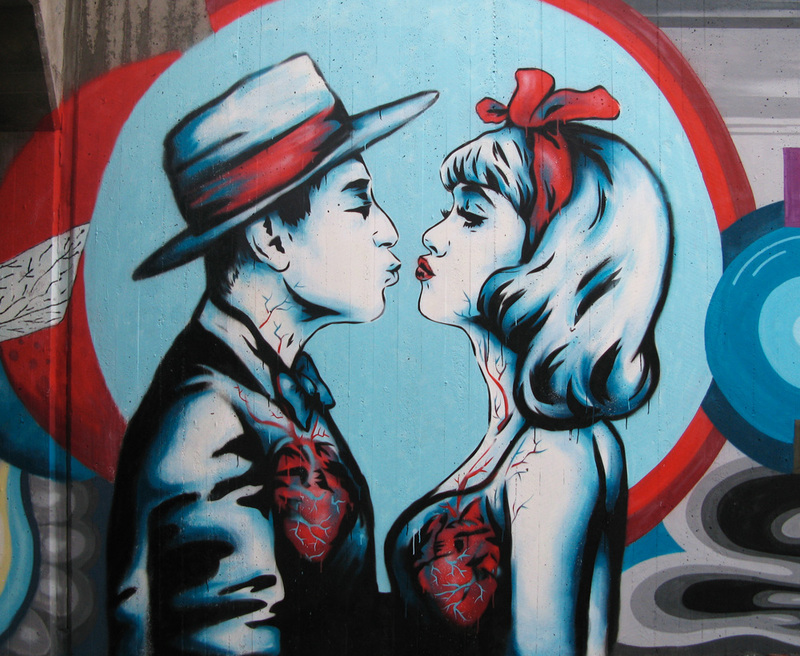 The mural is located in a tunnel underneath the town’s train station, turning grey concrete into a colourful painting whose featured themes were chosen by local inhabitantsMy contribution was a piece for the theme ‘Love’ featuring a 60’s looking couple about to kiss, with their hearts and veins visible. As if they were swearing to be together forever. A la vie, à la mort. // Until death tear us apart. New collaboration with Sr.X. En Apesanteur. What a real honour to be asked to do a TED talk. And what a challenge when I was told that the theme is “Everything you know is wrong“! The event took place on Saturday 20th September at the Rialto Theatre in Limassol, Cyprus. It featured 17 speakers and performers, as well as workshops and side activities. 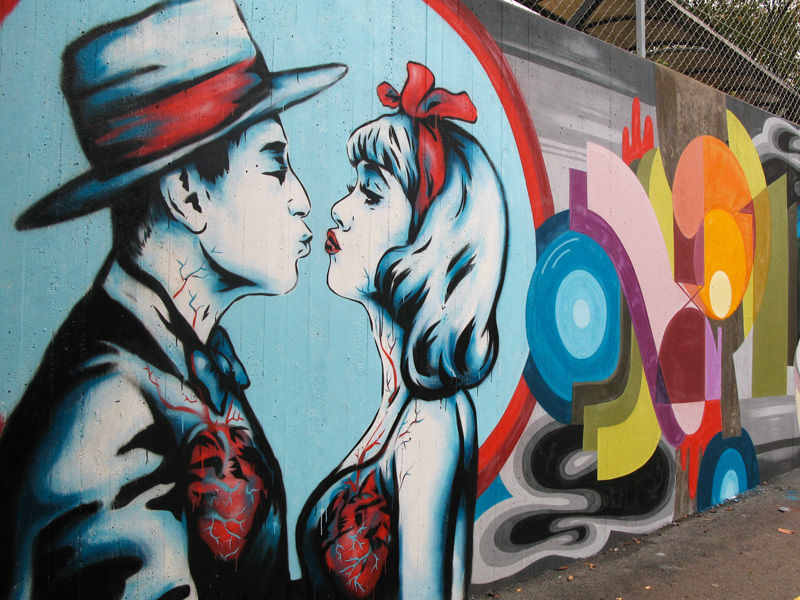 My talk covered issues regarding street art and its evolution, and how we can bring/spread public art. I would like to thank the organisers and the team of TEDx Limassol who have been amazing, and also Stuart from Inspiring City for his help, make sure you check out his blog!